Thanks so much to Real Bodies at Bally’s Las Vegas for providing us with complimentary tickets. All opinions are 100 percent ours! 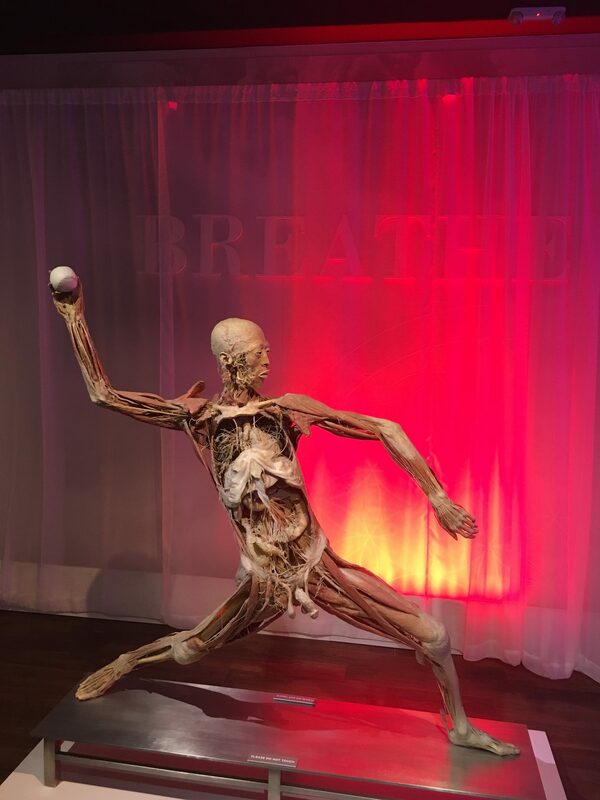 Real Bodies is a unique experience designed to allow you to learn about how the bodies work but seeing real, preserved bodies. The exhibit contains over 20 actual human bodies and significantly more displays involving real body parts. THAT SOUNDS WEIRD, WILL I BE CREEPED OUT? IS IT FOR KIDS? The Real Bodies exhibit is designed for all ages and is entirely kid appropriate. There is a section dealing with human development that involves fetuses, that may make some people uncomfortable but there is a warning in advance and a path for you to easily skip it if you prefer. The presentation of the bodies is done in a scientific manner so it should not be disturbing to most people. 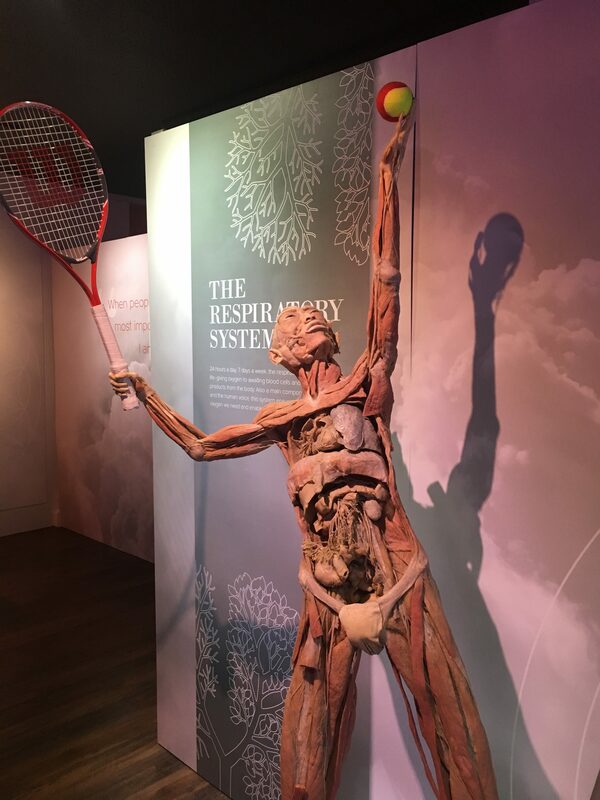 The exhibit is designed to teach how the body works and brings that into reality in a way that you never saw in Science class. 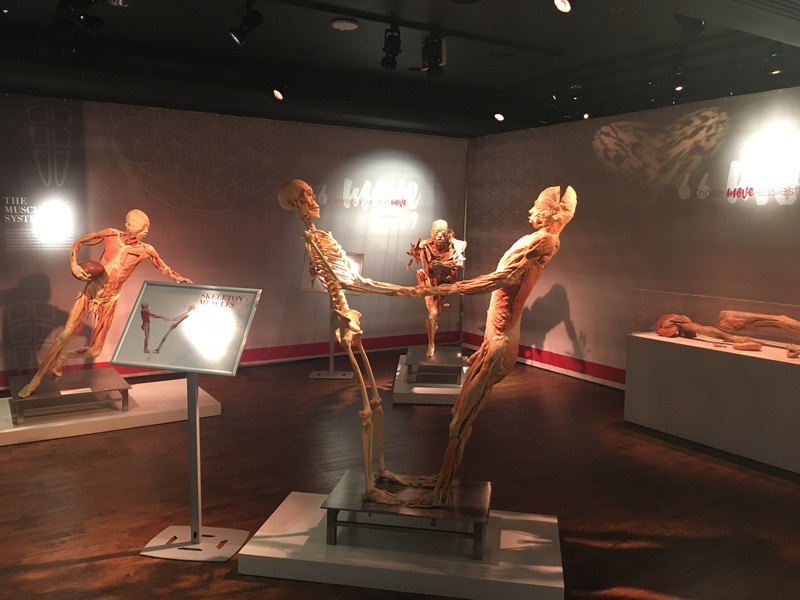 The exhibit is broken down into 10 galleries dealing with various aspects of the human body ranging from movement, to thought, to love and more. 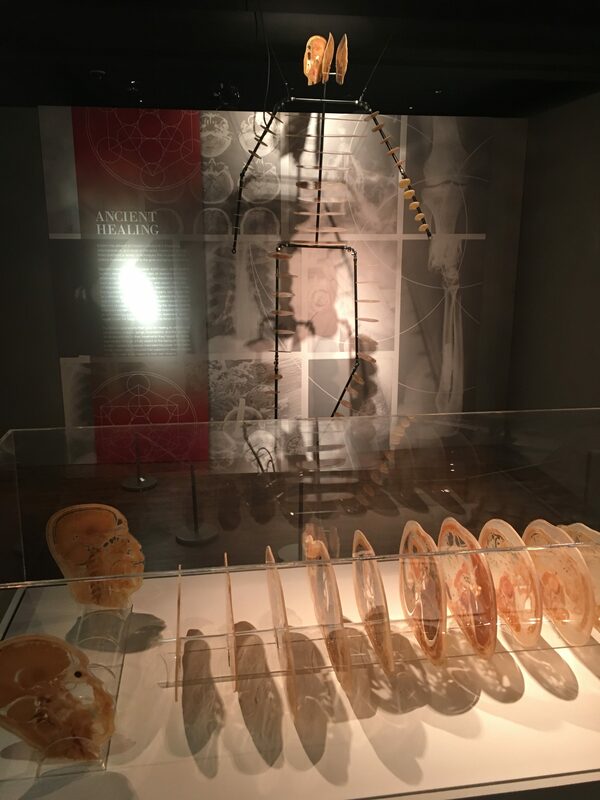 Each gallery contains human specimens placed in positions to illustrate the concepts. For example, see how the muscles stretch and various parts of the body act when throwing a baseball or serving in tennis. WHERE IS IT LOCATED? WHAT IS THE COST? Real Bodies is located in the Bally’s Hotel/Casino conveniently located on the Las Vegas strip. The cost of admission is $29.95 per person. If you are interested in learning more about the human body then this is a great stop. It is also much different than the other types of entertainment in Las Vegas so it can provide a refreshing change of pace. If you are looking for a freak show then this exhibit isn’t for you. We spent about an hour in the exhibit but times could vary based on how much time you spend reading all of the placards. I felt that it was worth my time and the price is very fair based on entertainment costs in Vegas.